Where did your love story begin? 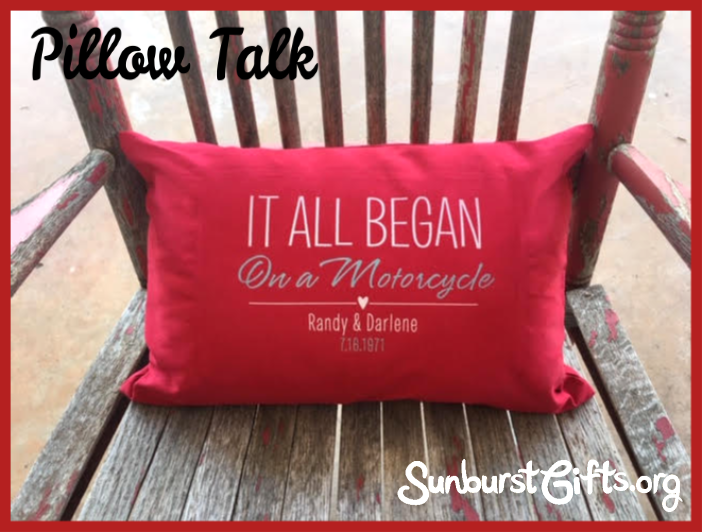 Have a “pillow talk” that celebrates the start of something special. I was 13 years old when I met my future husband. He was 16 years old and rode a Yamaha 55 motorcycle. (The motors were small back then). He was visiting his cousin and gave all the boys on our block a ride on his motorcycle while I watched from my front porch. I decided I wanted a ride too so I walked across the street and asked if he gave girls a ride on his motorcycle. When we returned from our ride all of the boys including my two brothers were complaining Randy gave me a longer ride. That was in 1967. We married in 1971 and will celebrate our 48th wedding anniversary this year. 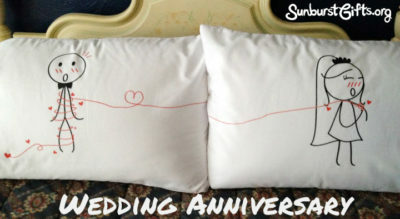 Personal Creations will personalize a pillow that brings back sweet memories of how a couple met. Have you every wanted to try an expensive restaurant but always talked yourself out of going there? There is an expensive steak restaurant near where I live that I’ve always wanted to try. It’s so close to my house I drive by it almost every day. The restaurant has a great reputation, and I’ve heard about the delicious food from lots of people I know. So why haven’t I gone there yet? I’d rather spend that money on something else I want. I feel guilty spending that much money on steak when I’m perfectly happy with the steak served at other less expensive restaurants. I end up deciding to try another new restaurant in town that isn’t so expensive. But guess what this lucky lady got for Christmas?! My thoughtful husband gave a gift card to the expensive steak restaurant in my Christmas stocking! Since I would never splurge on going to that restaurant, he decided he would do it for me! I wanted to do something in honor of my dear friends’ 45th wedding anniversary but didn’t have a clue. 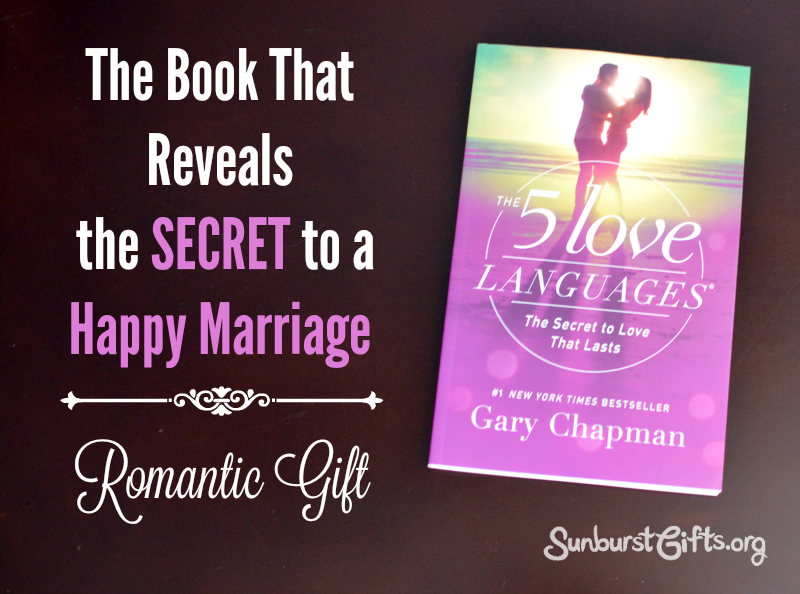 A thoughtful gift for a couple who has been married a long time. 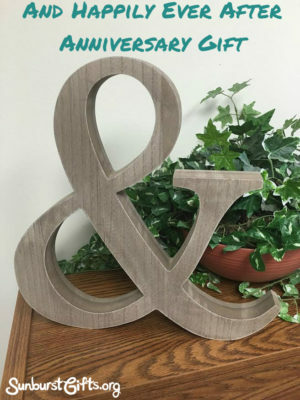 While walking through the craft store, I noticed there were large alphabet letters in a variety of materials such as metal, ceramic, wood and some with lights. I also saw an ampersand sign – &. How these ideas infiltrate my mind is a mystery but my first thought was And… to our next anniversary! Several more sayings popped in my head of what couples can look forward to doing next. Balloons turn adults into little kids again, especially when they appear in an unexpected place like the office! 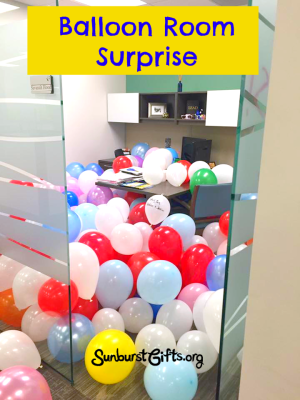 Turning someone’s work space, whether it’s their office or cubicle, into a playroom of colorful balloons is a great way to surprise someone for their birthday, work anniversary, or to congratulate them on an achievement. Giving someone a Balloon Room Surprise could mean blowing up enough balloons to cover their floor and their desk, or it could mean filling the entire room with balloons all the way to the ceiling! 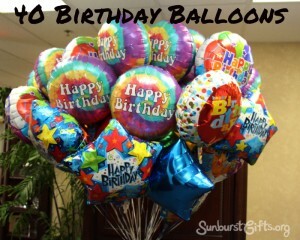 For a thoughtful twist to the Balloon Room Surprise, hide a gift among the balloons for them to find! We met Dan and Barb when they became our Realtors during my husband’s home building days. We became close friends and through the years we have shared our life stories. One of my favorites is how Barb and Dan got married. They had been together for a couple of years, and one morning Barb proposed to Dan by saying she was going to be a Mrs. by the end of the day. She was waaaaay past waiting for him to propose first. He, of course, was nervous but Barb is the love of his life and that day they went to the courthouse and became Mr. & Mrs. He has said lovingly more than once she “roped him” into marriage! 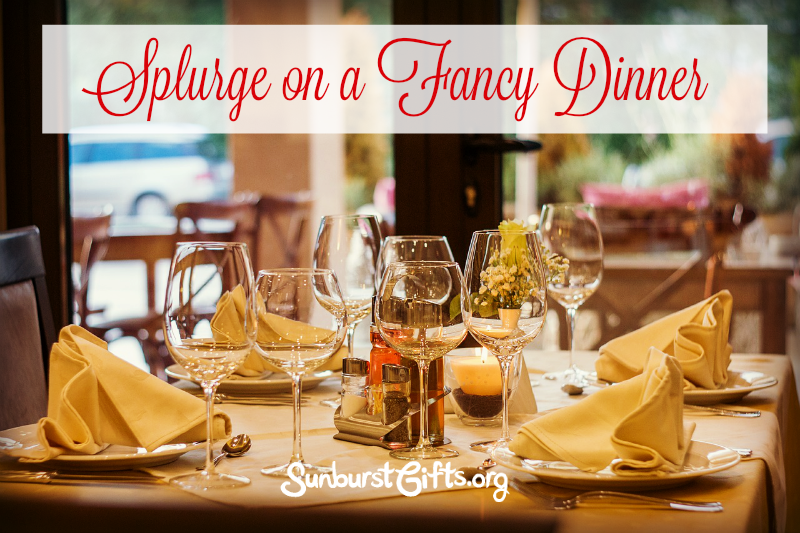 My husband and I planned our first MEGA Date Night and it was legen…wait for it…dary! 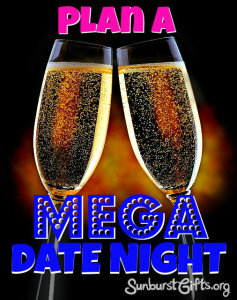 A MEGA Date Night involves two or more date nights combined into one. My husband and I enjoy going on dates to see an Oklahoma City Thunder basketball game or to dinner and then a comedy club. 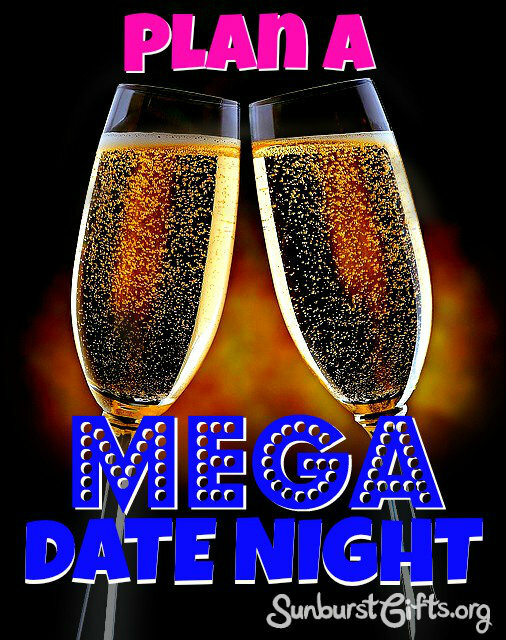 During our MEGA Date Night, we combined both date nights! We went out to dinner for some seafood, then attended a Thunder game, AND then attended a comedy club show. Because I love to dress up, I even changed outfits between the basketball game and the comedy club show. We had an amazing time doing some of our favorite things back-to-back-to-back! We felt like we were in college again we crammed so many fun experiences into one night. When my boss, Holley, turned 40 years old, my co-workers and I chipped in to buy her 40 birthday balloons. We hid them in her office so when she opened her door that morning, she walked right into them! It was a HUGE bouquet of birthday balloons, and it made a big statement. She couldn’t believe how many balloons there were! Every morning after that when Holley walked into her office, the balloons continued to brighten her whole day. It also ended up being the gift that kept on giving because the balloons lasted almost two weeks! 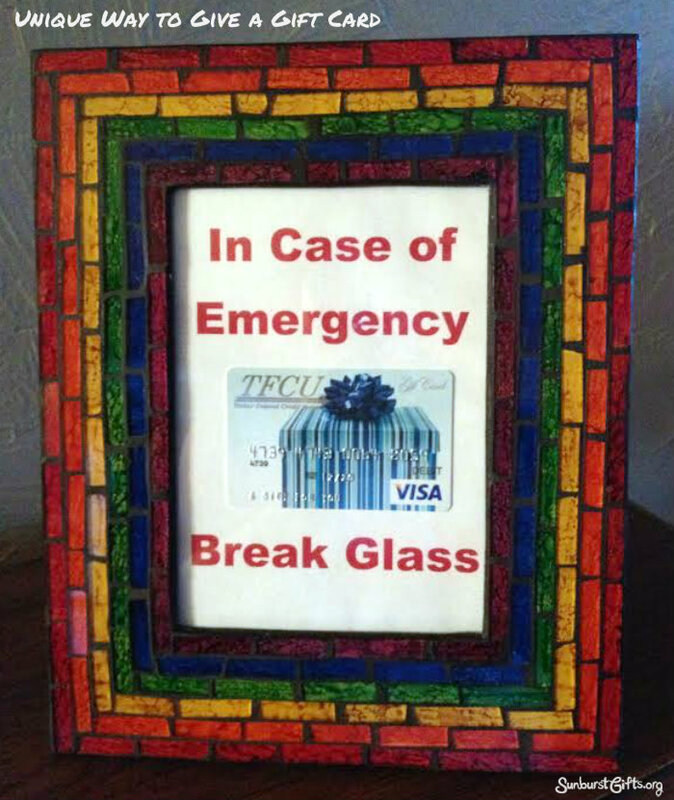 Do you need a memorable way to give money? I thought so! Sometimes money is the only gift to give to teenagers, graduates from high school or college, or newlyweds who need help paying for a honeymoon. For some reason, writing a check even when it’s what is wanted, doesn’t seem much of a thoughtful gift. This gift idea combines money (or a Visa gift card) with something they’ll have fun unwrapping. 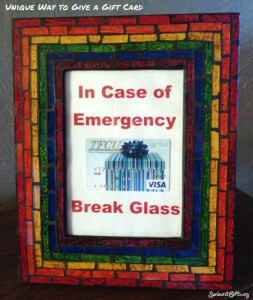 Want to give an affordable and rare gift at the same time? A $2 Dollar Bill will certainly fit the bill! My friend, Karen, was turning 60 on her birthday and really not looking forward to it. I wanted to give her something totally unique and definitely something fun. I decided to give her 30 two-dollar bills to equal her age.